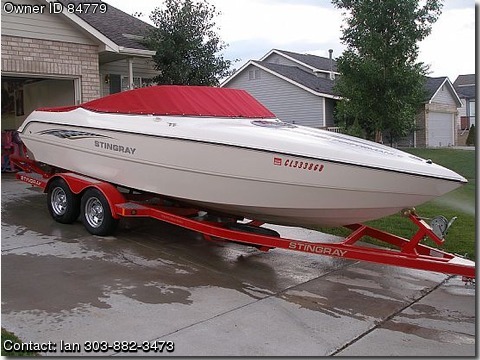 Im selling a like new 06' stingray 22 foot sport cuddy cabin. 350 mag mpi 300 horse with a bravo 3 outdrive. boat has captins call switchable exhaust. I am 1st owner and only put 20 hours on. cuddy sleeps 2 people always serviced and babied. boat is loaded with cd,mp3,satalite radio,flip up bolster bucket seats,depth finder,pop up cleats,sport graffix,port a potty,fresh water sink,portable stove,built in cooler,snap in carpet,binimi top,cockpit cover,canvas mooring cover.